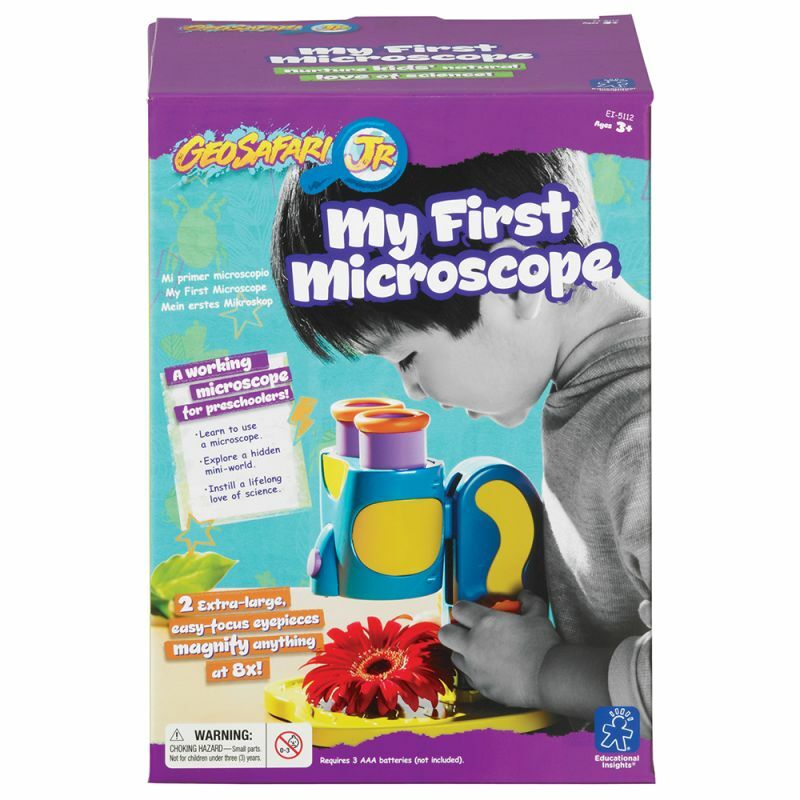 A preschooler’s very first microscope! 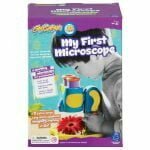 Designed by a mother of two preschoolers, My First Microscope allows kids to see a magnified hidden world with ease! 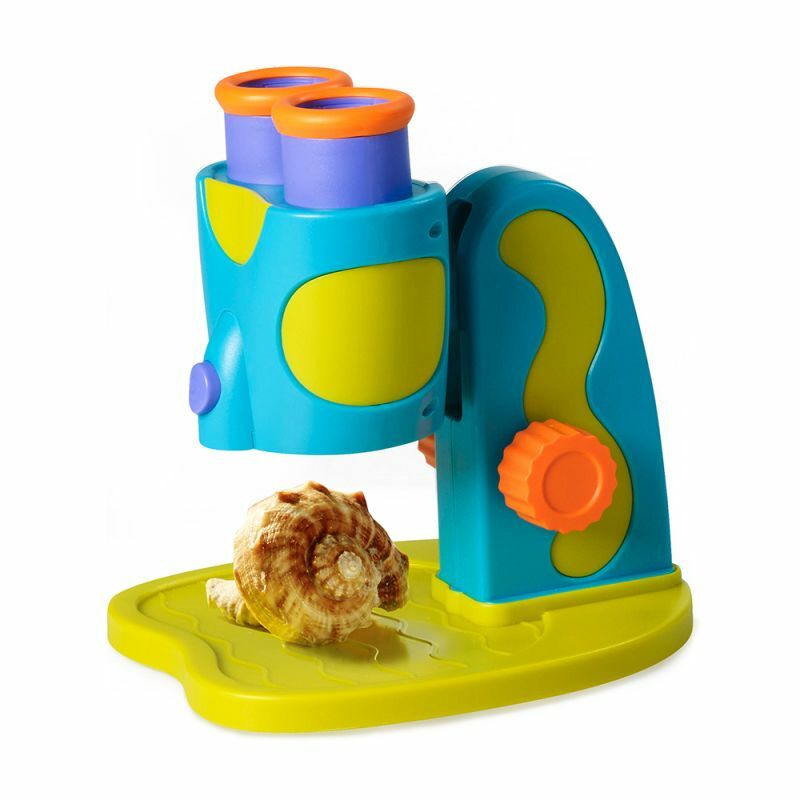 This fully functional microscope is a real tool. With two extra-large eyepieces and a chunky, kid-sized focusing knob, kids can see a magnified hidden world with ease. A bright LED with easy push-button action lights up details for even more discoveries.